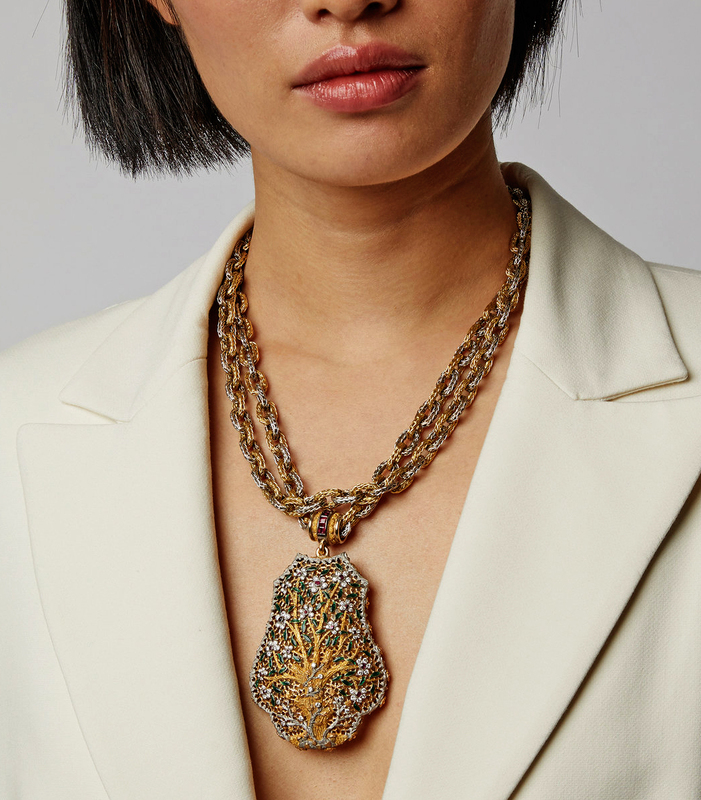 Mahnaz Collection jewels are authentic North and South American and European design classics, innovative, finely crafted, often handmade, rich in colour, and with a bold, timeless style. Important design concepts, explored in precious and semi-precious materials, shape the collection. MAHNAZ COLLECTION is especially known for the depth of its 1960s - 1980s works. 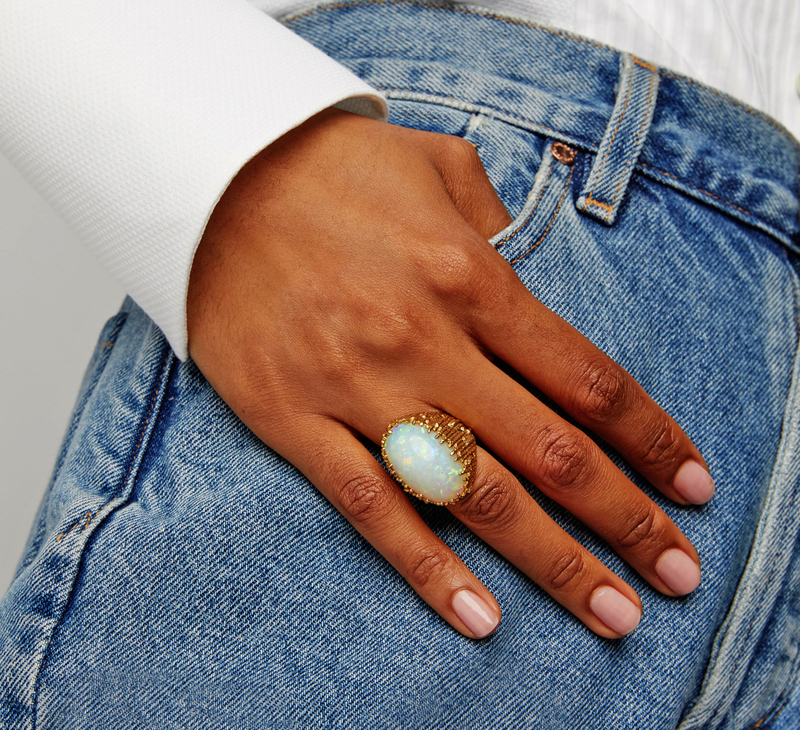 Crafted from 18-karat gold, Mahnaz Collection's ring dates back to the '70s with intricate engravings by infamous British jewellery designer Andrew Grima. 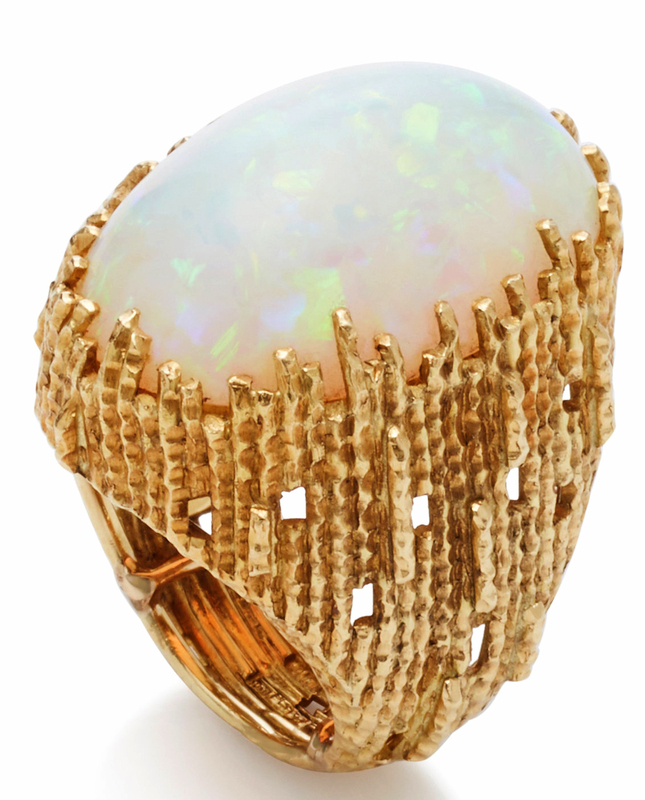 It's set with a 12.40-carat oval-shaped cabochon opal. Wear it to a formal gala on your cocktail-clutching hand. Mahnaz Collection 1970's Cazzaniga necklace hangs from an 18-karat gold braided chain. Featuring an ornate pendant, this one-of-a-kind piece has enamelled accents and diamond and ruby details. Put this vintage design on display with plunging necklines. Skilfully designed with detachable pendants, Mahnaz Collection's vintage Chaumet collar is crafted from 18-karat gold. This vintage necklace features white coral accents and 0.60-carats of diamonds.